You want to turn off! Your iPhone but can’t seems to. There are many issues, such as a software bug, unresponsive screen or not working properly, and it may be very well the do with the power button itself. Here are 4 ways to fix iPhone won’t turn Off issues easily. No, need to worry the following steps will guide you through, and you will be able to fix your iPhone that doesn’t turn off. Follow the steps in order or go right to the step, if you believe the other steps are unnecessary. Press the power button and keep pressing it for a while, which will begin the power-off sequence. 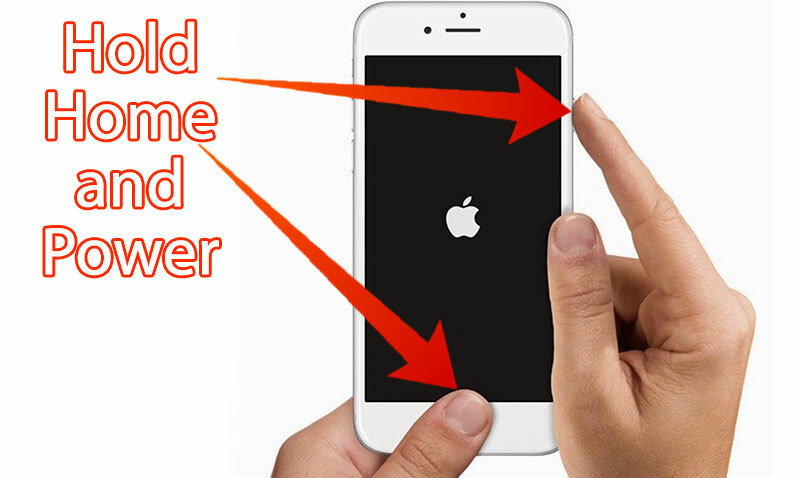 The screen will show a text ‘slide to power off’ so you swipe the red power icon to the right side of the screen. If done correctly the iPhone will be powered off. If it doesn’t power off proceed to the next step, or try other steps about what to do when the iPhone touch screen is not working. The next step is a hard reset. To do this hard reset to your iPhone, hold down the power button and the home button till the iPhone screen turns black. Caution: Hard reset is not the idle option to power off the iPhone as it can cause an issue with the software running and it might also cause you to lose some of your data. If your iPhone won’t turn off or won’t turn after the reboot, try the next step. Use the Assistive Touch feature if the power or the home button has an issue and is unresponsive. 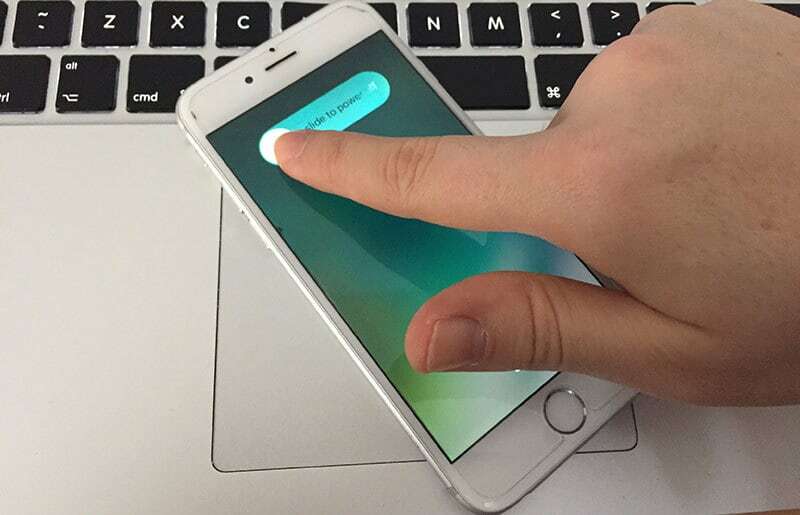 Assistive Touch is a feature that permits you to control your iPhone utterly from the display. This is accessible if you have any concern with your iPhone’s push button otherwise are tangibly incapable to use them. To use Assistive Touch, go to Settings -> General -> Accessibility -> Assistive Touch. Tap the toggle to the right side of the Assistive Touch choice to turn on the feature. A gray square should appear with a circle in the inside. It is your Assistive Touch menu. Tap the square to access it. 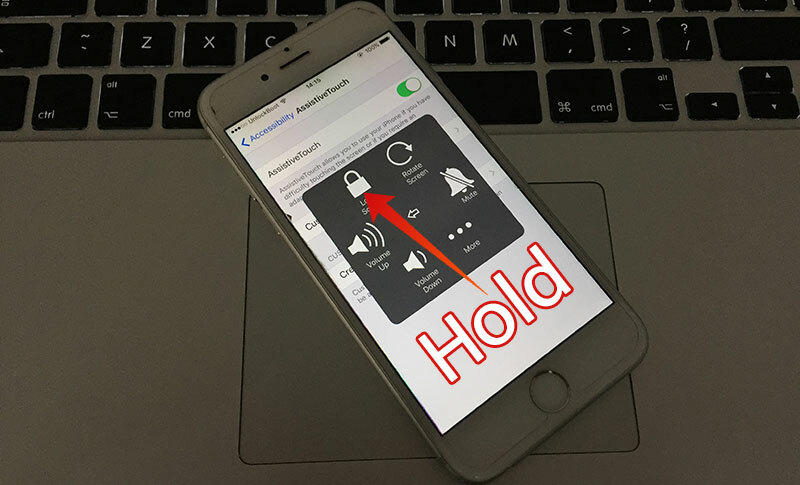 Turn off iPhone with Assistive Touch to power off your iPhone with Assistive Touch, select Device and then tap and keep holding the Lock Screen icon. This will proceed you to a display that says “slide to power off.” swipe the red power icon to the right side of the screen. This should power off your iPhone. 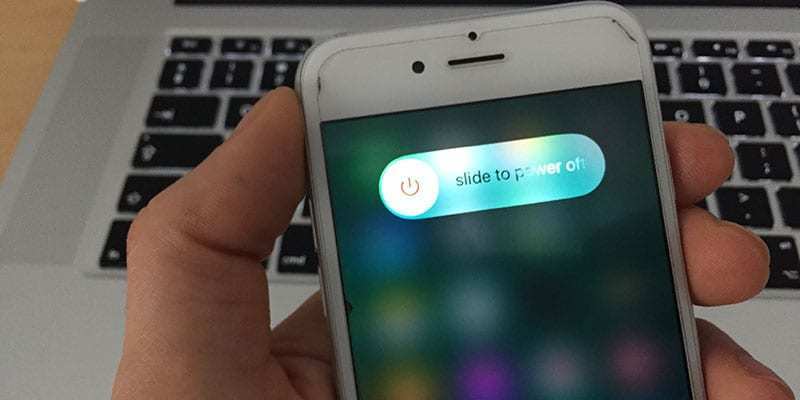 How to turn on iPhone if the power button has an issue, it’s broken or unresponsive? Plug your iPhone into a power source and the Apple logo  should appear, start using your phone. Connect your iPhone to a Mac or PC, wherever you have installed iTunes. Once, iPhone is plugged, begin the restore process. Caution: Once you have started this process be warned that if you don’t have a backup, you will lose your data. 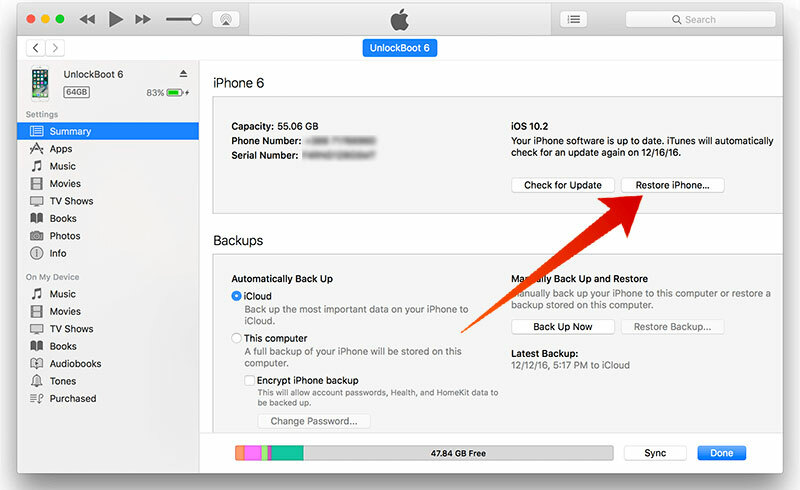 So backup your iPhone data to a PC or iCloud. Launch iTunes on your Mac or PC and click the iPhone icon at the top center of the iTunes screen. Select the restore button from the right-hand menu and click it. Select confirm on the pop-screen, to start the restore. Now stay-put for a while an estimated of 15 minutes for the iPhone to restore to the factory settings. Now you can turn on your iPhone and complete the restore or activating procedure to start using it. We hope you don’t get caught in such a situation. But if you do, there’s always a way out. Have you experienced iPhone turning off issue? Did this article help? Feel free to leave comments.